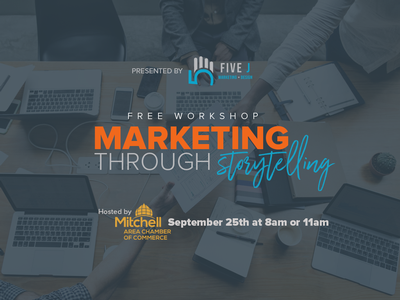 A free business workshop brought to you by 5j Marketing + Design. When it comes to web presence, simply having a pretty site doesn't get the job done. Five J Marketing + Design is a Sioux Falls based inbound marketing, web, and design firm. Instead of creating websites that look and read like templates, 5J constructs websites that are dynamic, interactive, full of content, and focused on telling the stories that buyers want to hear. Free to attend however, reservations are required.